Lil Xan continues to pay homage to the fallen. Though XXXTentacion and Lil Xan never collaborated on wax, it’s clear that the latter had the utmost respect for the former. 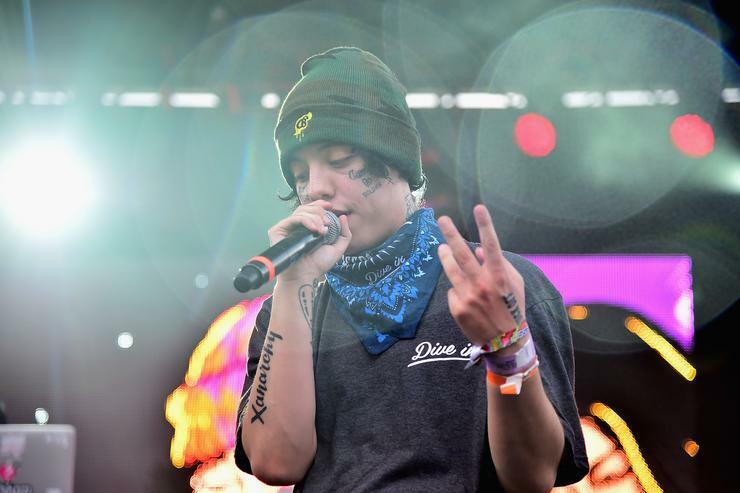 Xan, a member of the same “SoundCloud School” as the late X, seemed to rise to prominence around the same time, despite never quite amassing a similar cult-like following. In any case, Xan clearly views X as somewhat of an inspiration and has decided to pay homage accordingly. Today, the Be Safe rapper took to Instagram to showcase a new piece of XXXTentacion themed artwork, which he likely commissioned to hang in his pad. The gesture speaks to Xan’s current mindset, which seems dedicated to doing right by the fallen. It’s well documented that his upcoming Be Safe albumis a dedication to his friend and idol Mac Miller, but it wouldn’t be surprising to see Xan pay homage to X on the same platform. We’ve already seen the rapper ink an X tribute on his face, which speaks volumes to the extent of his admiration. This homage, however, is far less permanent, but thoughtful nevertheless.